Cristiano Ronaldo is an icon both on and off the pitch, and Nike are now ready to reveal the fifth edition of his signature boot. 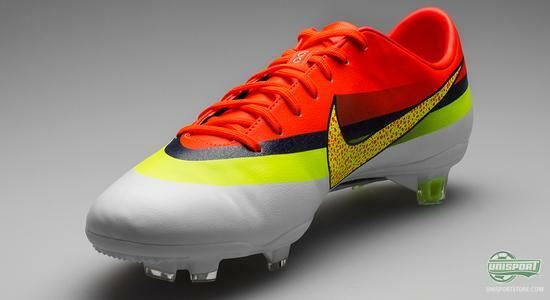 The theme is speed, which is very much displayed by the design of the boot. 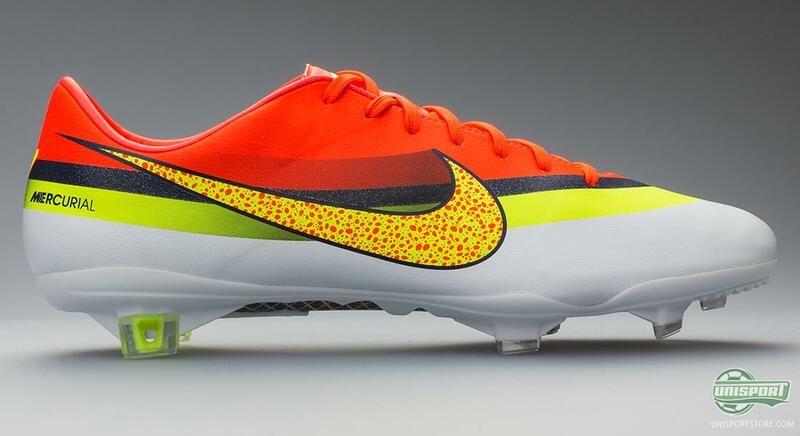 Ronaldo is beginning to have quite an impressive range of signature boots, which have, in terms of design, brought us both daring safari editions with zebra dots, as well as, more subtle editions with black as the dominant colour. Now the summer is coming, and Nike are marking this with a fresh colourway for one of the best footballers on the planet. 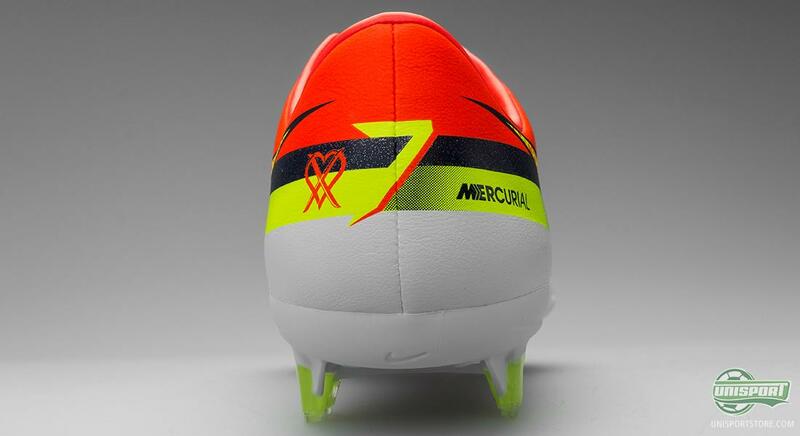 The new design encapsulates Ronaldos uncompromising way of playing, as well as, his daring, distinctive attitude that makes him who he is. The new Vapor IX really tries to embrace this unique style. This includes explosive speed, deadly strikes from 30 meters, as well as, numerous sprints with 33 km/h. 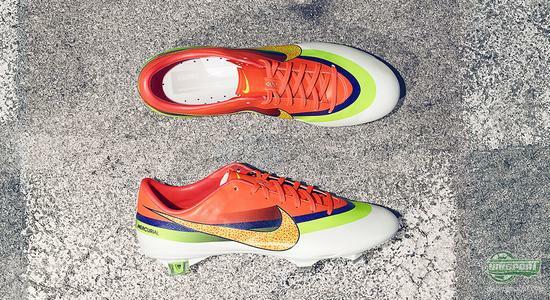 Ronaldo is all bout speed, and the new boot takes departure in something that truly communicates speed and prestige  the world champion shirt from cycling with the rainbow colours on a white background. 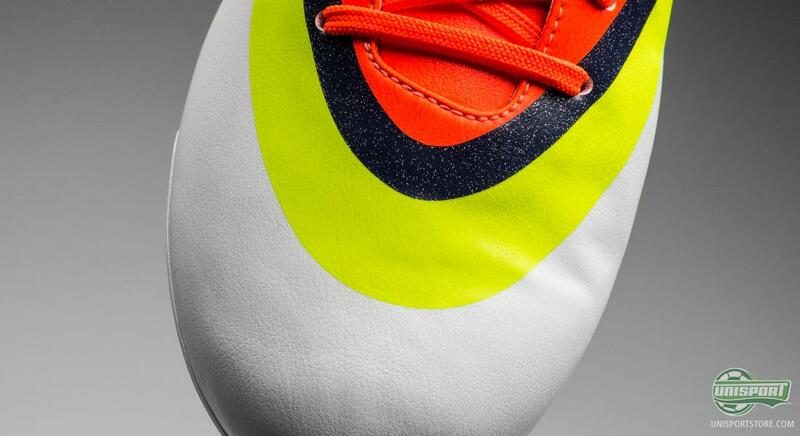 Therefore, the new boot is created with a white bottom, follow by a lime green, dark blue, as well as, an orange stripe that come in to create a fresh combination. 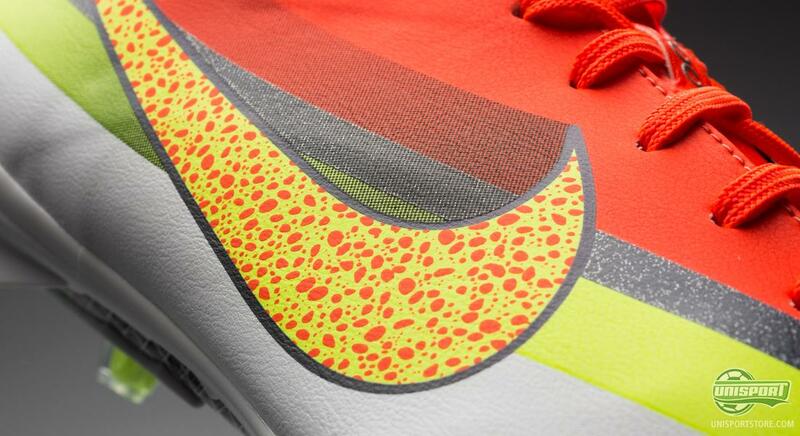 And Nike dont stop at this, they have also placed an oversized swoosh with a yellow and orange Safari pattern on top  a signature pattern from one of Nikes most legendary sneakers. 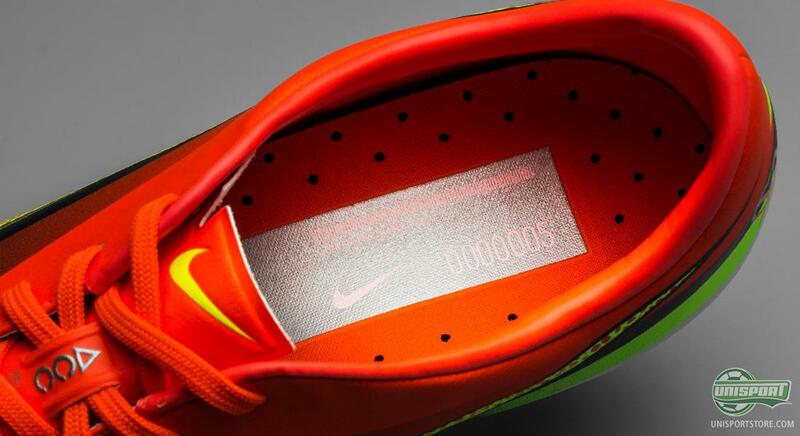 Above the swoosh we see a black speed streak  just to further emphasise that this boot is all about speed. But it is not only on the pitch where Ronaldo is all about speed  he also likes to speed things up during his time off; Ronaldo loves cars and go-carting with the pedal to the metal with his good friend Pepe, also from Real Madrid. 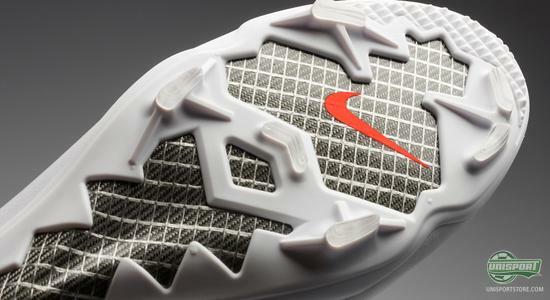 “I like to keep things moving,” as Cristiano says. 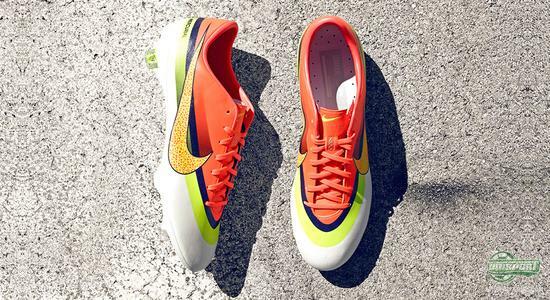 The boots upper is made by the Japanese specialists from Teijin, who deliver a soft and supple upper with a leather finish for Ronaldos boot  just as they did for Ronaldos previous signature colourway, the Vapor VIII ACC CR. The upper is equipped with Nikes All Conditions Control technology (ACC), which ensures the same ball grip in wet conditions, as you would have in the dry. 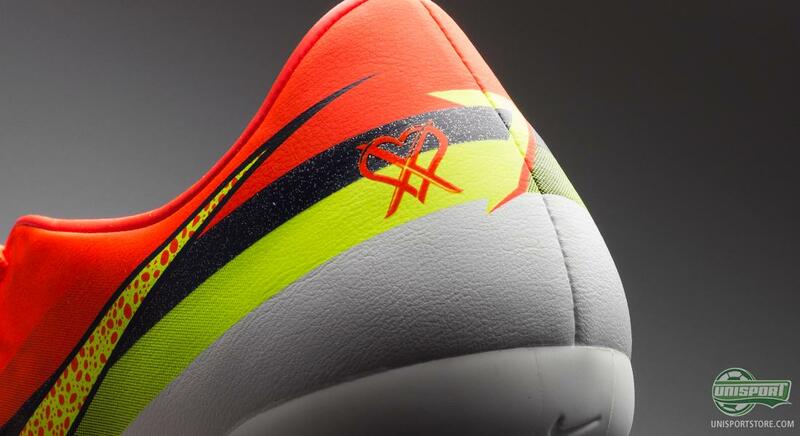 On the heel Nike have included Ronaldo’s “Love to Win, Hate to Lose”-logo, which represents the superstars personality both on and off the pitch. It decorates the heel and consists of a heart and a cross, which are overlapping. The heart represents the love for victory and the game of football, whereas the cross represents the hatred towards losing. 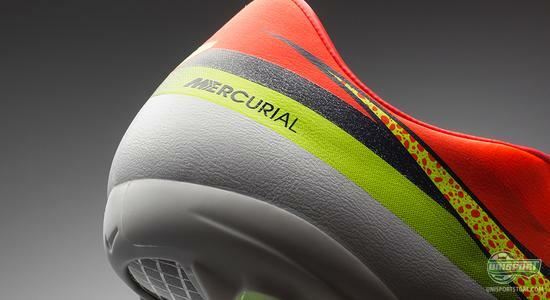 CR7 only has one criterion for success, and that is victory, regardless. 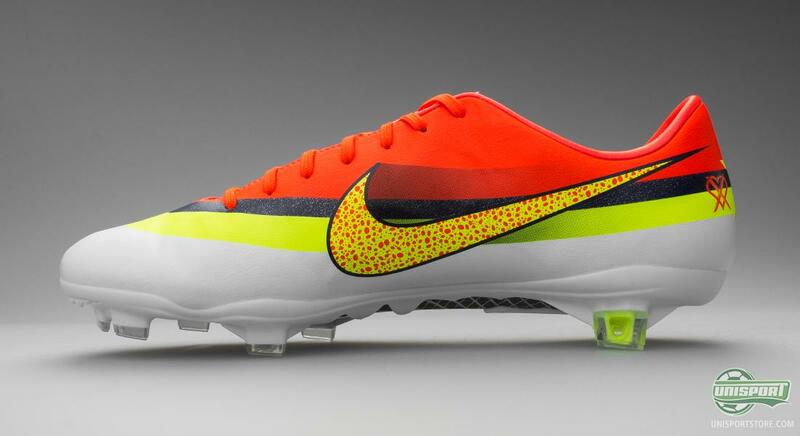 The new Nike Mercurial Vapor IX successfully took over where the Vapor VIII had left, with the introduction of Speed Control on the upper. 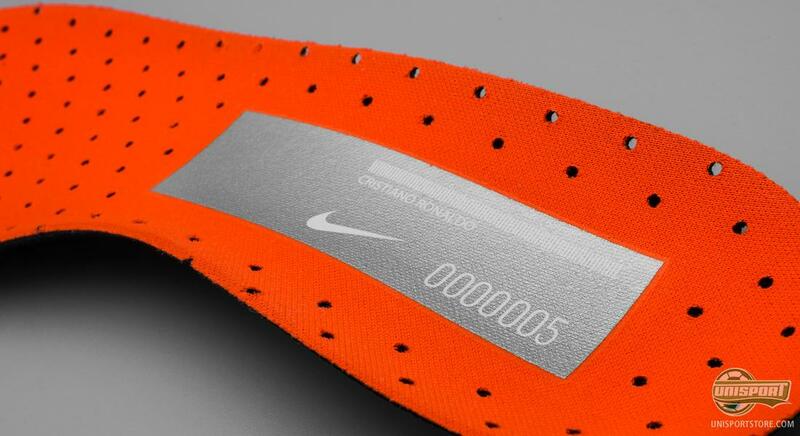 Weighing in a just 185 grams, it provides explosive speed, something Cristiano Ronaldo has been known for ever since he débuted on the international scene of football. He expresses his personality through his football and this is exactly what is displayed with this exclusive colourway, designed just for him. 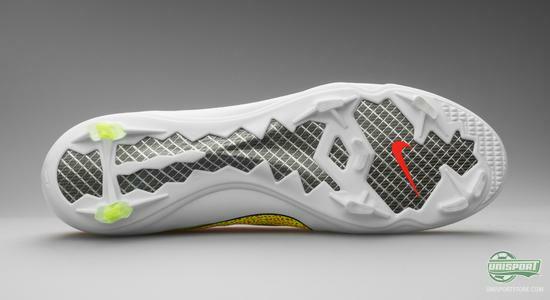 Another design element which truly differentiates this one from the regular Vapor IX models, is that it has been decorated with large Nike swoosh logos, both on lateral, as well as, the medial side of the boot; just as we know it from the Vapor VIII ACC CR model  omething that adds some nice associations to the very first Mercurial models. 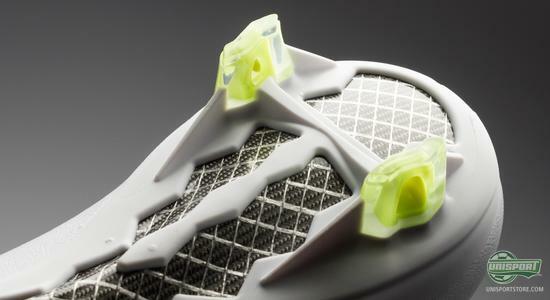 The Vapor IX ACC CR does not only come with a design that has speed written all over it  the boot is also equipped with a stud configuration that creates the exact same associations. 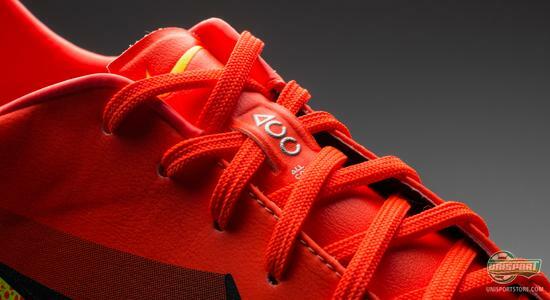 With bladed studs under the forefoot, including a V-shaped stud in the middle, Ronaldos new boots provide a phenomenal grip when you accelerate and leave your opponent in awe  exactly as Ronaldo loves doing. 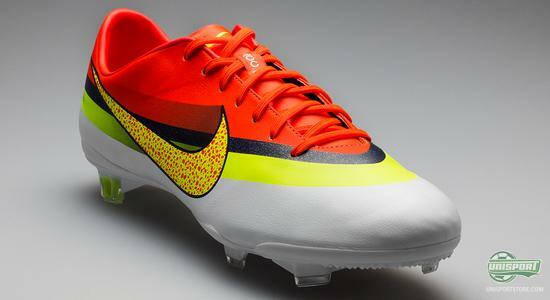 With Ronaldos new signature colourway of the Vapor IX the summer joy seems to be coming, and it is bringing along some speed of the highest order. The fresh and daring design encapsulates Ronaldos personality in the Vapor IX boot. What do you think of the new colourway? Feel free to share your thoughts in the comment box just below.